It has been a while since my last update. This post is for Invisible Illness Awareness Week, which starts on September 28th, 2015 and ends on October 4, 2015. If I’m being really honest, I haven’t been capable of any kind of travel in over a year. Just dealing with jet lag and getting through airports lands me in bed for weeks. Life ground to a halt there for a while and I knew I had to fight to receive better treatment for myself in Taiwan or I was headed home for good. I received some great news a few weeks ago, though, and I’ve been meaning to share it, but I’ve felt so good over the past three weeks, I put all of this on the back burner to go out and enjoy life. And really, that is what life should be about! Anyways, on with my news. In January 2015, we decided to switch doctors because we didn’t feel like I was getting the care and treatment that I needed at National Taiwan University Hospital. I wrote about my troubles with the health care system in Taiwan in January after a very scary cardiac episode at the ER in Banciao. This episode happened because my doctors weren’t talking to one another or checking for drug interactions. NTUH served me well for a while, but they were very hesitant to get aggressive with my treatments. Everything was a battle with them, including getting the medications I needed to get my life back on track. I had finally resolved to start infusion therapy for AS and my doctors at NTUH refused to admit that the medications they had me on since 2009 were no longer working. Not to mention that dealing with a health care system in a foreign country, as much as I love Taiwan, is really scary when you can’t think straight. I was finding it increasingly difficult to even get my point across with my doctors at NTUH. When I first started seeing my new doctor at Veteran’s Hospital in May 2015, I was as sick as a person can be without requiring hospitalization. I was experiencing severe chronic pain and autoimmune fatigue for seven months, as well as horrible anxiety and depression from my conditions and from the awful side effects from the meds I’ve been taking to keep my immune system and pain in check. The only thing I’m going to say about depression now is that if you haven’t experienced it, it is very real and just horrible to deal with. It’s not something you can get over. I have never felt more like scratching someone’s eyes out than I did during that conversation. Depression is not something you ‘get over’. Illness is not something you can fix by putting a smile on your face. When you’re in agonizing pain 24-7 for months on end, it is very, very hard to find happiness or joy in anything. With that said, I did have some happy moments this year. My mom came to visit in May 2015 and while I feel awful that she had to see me like that, it was great to have her here. We had some really great times together, including a long weekend in Hong Kong and some excellent meals from the night markets here in Taiwan. And we got a kitten in January just before my birthday. Her name is Bijoux, and as you can see, she has been a great source of comfort to me this year. Another Diagnosis – Once you’ve got one autoimmune disease, you can expect another illness to join the group at some point. My doctor at Veteran’s confirmed that AS was not the culprit behind my primary symptoms from December 2014 through June 2015. Having been diagnosed with AS in 2009, I know my body well and even I knew that something was different about the pain and fatigue I was feeling. Thankfully, my doctor listened to me. He spent two hours with me during our first meeting and ran a bunch of tests, most of which revealed nothing. I continue to be a medical mystery, just like many other Invisible Illness Warriors around the world. He diagnosed me officially in May 2015 with Fibromyalgia, Myofascial Pain Syndrome, and Myalgic Encephalomyelitis (ME), also known as CFS. I had prepared myself to start infusion treatments for AS, and instead, I came home with three new ‘friends’ to enjoy my life with. Devastated does not begin to describe how I felt after receiving that news. I had no hope and couldn’t see the light at the end of the tunnel. The following weeks were very, very hard to get through. He also told me that day that I am one of those people that is allergic/sensitive to everything. My immune system simply can’t handle the daily onslaught of foreign substances that we are introduced to each and every day. At that time, I was taking 13 pills a day to manage my condition, one of which is used with cancer patients; two of which were heavy duty pain killers that were slowly leaching the life out of me while wreaking havoc with my liver, kidneys, and stomach. I saw my doctor every three weeks since my May 2015 diagnoses for blood and urine tests to make sure my kidneys and liver were ok from the drugs. His first rule of order was to alleviate my symptoms and then get me off the drugs. That didn’t really happen. I ended up on more meds than I should’ve been on as he got more and more frustrated with not being able to offer me relief. The stigma of being on these types of drugs, especially addictive painkillers, stays with me every single day. People do judge, especially where prescription drugs are concerned. I constantly feel the need to let my doctors know that I don’t abuse my medications. My first rheumatologist at NTUH refused to give me a stronger painkiller for the longest time. I eventually made my husband come in with me and had him plead my case, and even then, my rheumy remained reluctant. I’m happy to say that my doctor at Veteran’s gave me what I needed to start functioning again and I started living life without daily painkillers, although I still need them throughout the week for breakthrough pain.Unfortunately, it didn’t last long, but for a few months, I had a small break from intense day to day pain. I don’t remember a day without pain since July 2014, but I keep a pain journal and it was clear that for a while there, my pain was reduced. Chronic pain is real, folks, and when pain affects every decision you make throughout the day and it affects your ability to get out of bed in the morning or to even take a short 15-minute walk, it IS devastating. I also subject myself to a lot of pain each day just because I don’t want to take them. I’d rather suffer the pain if it is manageable than pump more crap into my body. Every day I wake up and hold these little pills in my hand and wonder if I can get through the day without them. My great news is that on August 20th, Dr. Lin deemed me healthy enough not to have to go back until October! My AS is in remission and he thinks I can manage a few months without dropping by every three weeks for them to test my blood. Who knows how long this will last? Update: It lasted four months. My life will never be ‘normal’ because of these conditions. I still suffer from chronic pain and fatigue because of the war that continues to rage on inside my body. Life with chronic pain can change anyone, but I think the one true lesson I’ve learned from all of this is to recognize that there will likely be more bad days than good days and to seize the good days and enjoy each day as it comes. I don’t really care what anyone else thinks of me in regards to what I have to do to live successfully with these illnesses. The only people I need to keep happy are me, John, my family (close friends included) and Dr. Lin, of course. Oh, and especially my mom, for putting up with Sick-Me while she was here. I know it wasn’t fun for her to have to see me like that. I love you, Mom. You can check out this article on AS in the Taipei Times a few years ago. The only thing I disagree with is the comment about more men having AS than women. That is simply not true. Similar numbers of men and women are affected with spondyloarthritis. In the past, it was thought that ankylosing spondylitis was more common in men than women. More recent studies suggest that ankylosing spondylitis occurs in similar numbers of men and women. I’ve spent a lot of time on AS forums and on AS Facebook groups where the majority of people who are discussing their symptoms are women. Perhaps it’s because women present differently or they’re harder to diagnose. Who knows? All I know is that it’s important to dispel the myth that women do not suffer from AS as frequently as men do. I know too many women who are suffering and not receiving the treatment that they need because they are not receiving a proper diagnosis. I remain forever more your steadfast and relentless Invisible Illness Health Advocate. My wife and I are South African expats living and working in Taiwan (Taichung, to be specific). We both currently work as full time cram school teachers. Donnay, my wife, also suffers from Fibromyalgia and Myofascial Pain Syndrome and we’re looking for any help we can get here. Her Fibro is not quite as severe as yours, but she’s struggling more and more to manage the everyday life of a teacher and live with her pain, even with the anti-inflammatory, anxiety, and antidepressant drugs that she’s taking. Right now she is in the middle of one of her worst flares to date and is struggling to think clearly through her brain fog, which is why I’m writing on her behalf and with her input. Just this morning we took her into the ER because of the severity of her back and abdominal pain, yet the doctors simply did their usual trick of handing over a bunch of new painkillers and muscle relaxants. Earlier this year she had anesthesia injected directly into the trigger points in her back which the doctor said should provide immediate relief. Instead she experienced the worst pain of her life and now has the added bonus of that remembered pain each time she hits a flare. The doctors here have discredited her Fibromyalgia diagnosis each time she has brought it up. She was originally diagnosed by a doctor in South Africa but we left soon after. We’ve talked about trying Traditional Chinese Medicine, but from what you’ve written it seems that that has helped you more with the AS than anything else? Would you recommend Dr. Lin at Taipei Veterans Hospital as a good starting point for figuring out Fibro in Taiwan? Thank you for putting yourself out there and being open about your own experiences. Your words are a huge source of hope. Dear Daniel. I’m so sorry to hear this. My fibro has been acting up a lot lately. I can’t teach with the level of daily pain I have, but I know the struggle that is ongoing with Donnay if she is trying to hold a teaching job down. It’s making her worse, I’m sorry to say. I’ve also been through the same treatment protocol here that you’ve mentioned and honestly, none of it worked. What has worked is magnesium baths three times per week (Epsom Salts and Magensium Chloride flakes with some sweet almond oil and an essential oil like Jasmine and Ylang Ylang or Lavender). This helps your muscles relax and promotes sleep. Painkillers every day to take ‘the wild edge’ off fibro pain and just pacing myself and figuring out what my energy limitations are. As soon as you overshoot your energy limits, you flare. I tried TCM for 2 years. It didn’t make a difference. What has made a difference is staying on my painkiller regime: Once in the morning to get through my day and once at dinner to last through the night, magnesium rich baths, and lots of rest. Pacing and managing your daily activity is very important. Please read these two articles which will explain the importance of managing chronic pain day to day and the importance of pacing. I’m sorry to say that these flares will also come and go with stress. It’s hard to avoid stress in this day and age, but try to minimize it as much as possible and take active steps to deal with it if Donnay is noticing a physical body response: Muscles tightening, sensitivities to lights and sounds, additional nausea, increase in pain. I can actually feel my body blowing up into a big huge ball of stress when something triggers me and as soon as that happens, we go home immediately and I go to bed to minimize how bad it will be the next day. Good luck. This is a never-ending journey and it’s like riding a roller coaster. Let me know if you have other questions for me, Daniel. I have been teaching Chinese students online for the past year, and am digging it more than I ever thought I might. I taught university level courses for over twenty years, and have a PhD/MFA. I left my tenured position in 2013, when everything feel apart. I was diagnosed with Ulcerative Colitis in 2003 and fibromyalgia in 2004. I was hit in 2012 with an unexpected death in the family and a massive flare, likely brought on by grief. This lead to enteropathic arthrtis, and likely AS. My connection with China goes back many years. My older sister who died in 2012 went to Taiwan for a semester in 1979. She came back to the US and graduate school, but returned planning to spend a year teaching English. She lasted about eight months, when she was sent home due to medical issues. This was in 1983, and she spent the next 6 years trying to figure out the problems. Finally, she was diagnosed with fibromyalgia. These were early years in the invisible chronic condition world, and you have likely read of or know many others who struggled to figure out what was happening with their bodies. Sis died in 2012 of leukemia, the really bad kind. She was living in New Mexico since 2001, Land of Enchantment and buried nuclear weapons, and there is no knowing what got triggered in her body when or where. I cannot imagine this journey from diagnosis in a foreign country. I say it takes at least a year to figure out what triggers you respond to and how to find the fine line between just right and too much. Then, another year to lay the foundation for some kind of effective maintenance. Even that cannot be trusted. Change manages to torpedo the treatment plan, and you get tossed back to figuring things out, again. It is a delicate dance with many moving bodies and dramatic changes in pace. I am pipe dreaming of moving to China to teach, but know that a middle aged woman with chronic conditions is not a good match for the realities of this. I just wanted to reach out and give you a high five from the world of condition management and understanding of the energies needed for forward motion. Illness is no excuse for not living life, but thoughtful choices make the journey possible. Be well. You are so lovely to leave me such an inspiring message. You truly made my day. Thank you so much. I’m so sorry to hear about your troubles as well. I don’t think anyone can really understand it unless they’re living it. I was also hit with an unexpected death in my family in 2012 – my little brother – and the grief threw me into a horrible flare. (He had sarcoidosis. Everyone in my immediate family has a type of autoimmune issues and it goes back on both sides of our family.) After his death, everything went downhill after that. I am so very sorry to read about your sister. Dealing with this in a foreign country has been the biggest challenge I’ve ever taken on. I’ve been in and out of the hospitals here since 2009 and was a regular even before that with other issues. It was only in 2009 that they figured out I had AS. It took a few more years to get my fibro diagnosis, and now I have a heap more to deal with. I do not have health care in my home country, and I’m not sure how things would be handled with me being going since 2003. It takes three months to reinstate health care in Canada. I don’t know how they handle pre-existing conditions, and I’m scared that it might be half a year or more before I could get in to see a specialist there. I know many Canadians looking for primary doctors and I know the wait times for specialists are long. In Taiwan, I can see a specialist within a few days or have an MRI booked within a week or two, so we’ve decided to stay here because we feel I’m getting the best care here. But it has been hard. I’ve bounced around from hospital to hospital. Two rheumatologists that I trusted retired, and one gave up on my completely. The first time I was dumped by a doctor was pretty devastating. It’s so good to hear someone else acknowledge the hardships with this journey of mine. Thank you. As for your thoughts about moving to China to teach, I can say that I would not go back to China with my health issues as a middle aged woman. (I’m 43.) It was hard battling my health issues when I was there from 2003 to 2006. Much harder than what I deal with in Taiwan. China is not friendly to folks that are chronically ill. Everything works against you – the environment, the schools, the lifestyle, even the teaching hours. I have heard of some teachers having great success in Japan, though, and you know I’m sort of holding my own here in Taiwan. Have you thought about other teaching locations instead where you’d have more support in a better living environment? Thank you again so much for your comment again. I really appreciate and please do feel that you can get in touch any time. You made my day today. Spoons! Spoons, indeed. Chronic illnesses do indeed start to grow and pile on with time, and auto-immunes just spread with age. At a certain point, a step back and a reassessment of management is in order–my primary doc felt that the pain I had in 2011 could not be completely due to fibro, and sent me for re-testing, which lead to the AS diagnosis. And, as you know, the conditions themselves are nimble at disguising themselves and playing hide and seek. **sigh** I have heard from other Canadians about the waits for appointments. The states is no picnic these days for those with illnesses and for those with a lack of money. And, as you rightly note, depending on where you are can make a huge difference, in addition to your insurance carrier. I use microwave neck wraps, epsom salts, exercise, sleep and diet, as well as muscle relaxers to maintain. Seriously–the best drug I have ever met was a basic generic muscle relaxer. I am not as ill as you–but I do understand well the balance needed to deal with life, health, and mental strength. You are doing very, very well in that regard. As for teaching, in truth I am in a relationship here and may not be as mobile emotionally as I might be. I am 49 and he is 58. He lost his government job about 18 months ago, and has been training in web design. Eventually, we are going to talk about this idea of starting fresh, or else stay put. Location is less important to me than is good fit. But–being near a decent medical facility is a must. I have been checking out university listings in China because it greatly appeals to me, and because America has many issues. My academic background is in theatre–performance, speech, phonetics, as well as writing and history. There is an outfit called Enreach which focuses on these things–debate, speaking, theatre, and critical writing. It works with young adults–pre-college. Anyway–I wanted to thank you for writing back. We are only as limited as we make ourselves-stay open to the yes. Scratch the kitty for me. They never stop! It seems like every time I go back to the hospital – every two to three weeks – they add something new to my misery. I’ve been following what is happening in the US with great sadness. I’m watching the ladies in my support groups as they slowly lose access to their medications. It’s heartbreaking. The best remedy for me is hot magnesium baths. I don’t think I could function without them – 1 cup of Epsom Salts, 1/4 cup of Magnesium Choloride flakes and a few drops of sweet almond oil and your favorite essential oil works wonders. I also couldn’t get by without my painkillers. No painkillers mean I can’t move. I don’t get out of bed, I can’t sleep, it’s just agony. I’m tired of hearing people vilify painkillers when they don’t have chronic pain and they don’t have any understanding of how important they are to my day to day life. I’ve been on the same amount for four years. They allow me to live my life. China worries me for teachers because access to English-friendly health care is hard to find. That is why I typically recommend Taiwan or Japan if teachers can pass the mandatory health checks required by the government. The kitty has been scratched, and I feel like I’ve made a new friend. Thank you again, Meg. It’s great to hear from you! I am so glad **knock wood** that I have avoided the hospital, mostly. The times I have been in the ER have been linked to MRSA and the ulcerative colitis. This might sound random–but check out this book if you are interested. It was pretty fascinating about how doctors come to their diagnoses as well as how they perceive patients. The US is not a happy place these days for a whole tuckus-load of reasons. I had to give up my insurance because it doubled this year–I currently am on medicaid, the medical safety-net for those in poverty. Luckily, I live in a state that offers it. It at least covers my medications, though I am struggling to get an appointment. **grrr*** As I type this, I am listening to Senate debate on the prospective new Health and Human Services secretary. Thanks for the tip on magnesium salts. I take extra magnesium, and can tell when I miss a dose. My legs and hips ache more than previously. I will have to add it! I weaned myself off of opiates, and take tramadol, though I question if it works well enough to even bother. Naproxen was the best OTC for me–but it inflamed the ulcers. **sigh** I use exercise as a kind of baseline pain reliever. I did not exercise for the first 5 years of diagnosis. Then, I joined a YMCA to take water aerobics classes: I was hanging with the little old ladies in the Arthritis class. I got addicted. So long as I am mindful and listen to my body, it is most beneficial. I hear your warning, loud and clear. In my experience, we underestimate the issues that could occur because we romanticize the cultural differences as well as the reality of the transition. There are a few postings out there about Universities in Korea and Japan. I have been doing mucho reading about the different higher ed systems. Also found an odd job offer on a recruiting board from a drama school based in 5 Chinese cities–They of course gave little details on the recruiting board. I did a bunch of poking, and linked back to the company–and it actually is pretty interesting–Western theatre classes, coupled with language and performance. http://www.dreamaker.com.cn/ I have to bring it up with my partner still. I currently do 5 different part-time jobs, but it is not enough. I have tried a couple of ‘real’ jobs–but almost 30 years in the academic world has ruined me for honest work. The temperature is dropping and the sky is clouding over. I live outside of Washington, DC, and more cold is coming. I am off to make some soup and drink some hot tea. Be well and safe. I am so sorry for my late reply. It has been a rough month. Thank you for the book recommendation. I will check it out. I am hearing so many similar stories to yours. It breaks my heart that there are so many people losing access to insurance, medical care, and the medications they need to live their lives. I’m also on Tramadol and have used it steadily since 2011. It takes the wild edge off my pain, but it doesn’t eliminate pain completely. I’ve yet to find a medication that reduces pain completely. I don’t think it exists. My mom would be thrilled to hear you are into water aerobics. She was a water aerobics instructor for many years and her classes helped so many people. The health benefits from these classes are amazing. I hope you are staying warm and feeling ok. Best wishes to you. I’ve just left my job in order to rest. Hopefully less work and less stress will allow me to cope a little better. We’ll see. Time will tell. I’m a Canadian expat living in Taiwan with Ankylosing Spondylitis, Fibromyalgia, and Myalgic Encephalomyelitis, among other health issues. 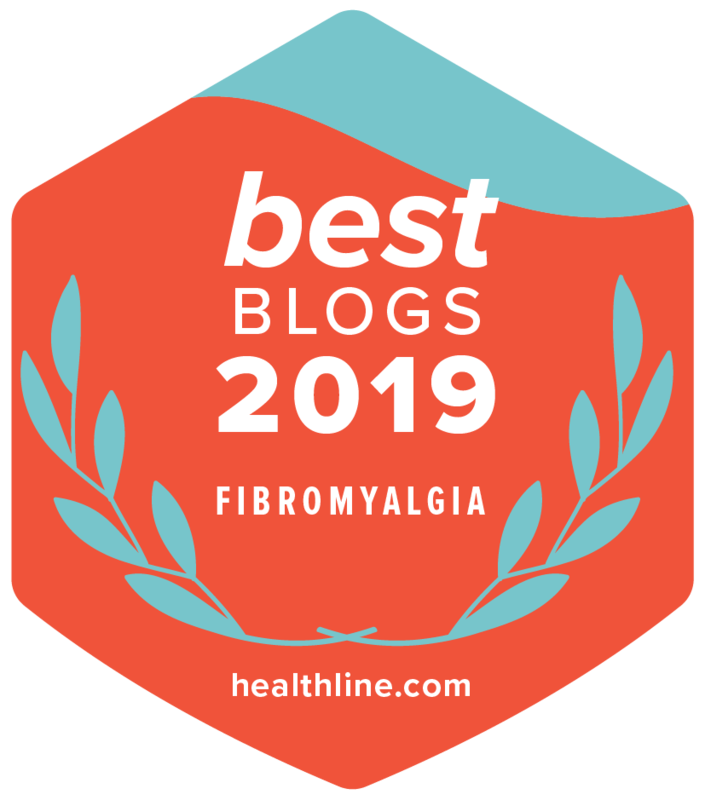 I have been writing about my illnesses since 2009 and my advocacy work is featured on many health sites, including Healthline, WEGO Health, Creaky Joints, and more. Living life passionately with limitations from chronic illness takes more than many of us might have to give. My illnesses have shaped my worlds and have inspired me to support others in similar situations. Healthline carefully selects each blog based on the quality of content, the frequency of posts, and a connection to their community. We feel My Several Worlds specifically earned this accolade by using your unique experience to help others thrive and continue traveling even with chronic illness. Alternative Treatments to Chronic Illness: Do They Work?